Useful techniques for Blaze which are not explained in-game. How to Unlock the Grand Slam Achievement. 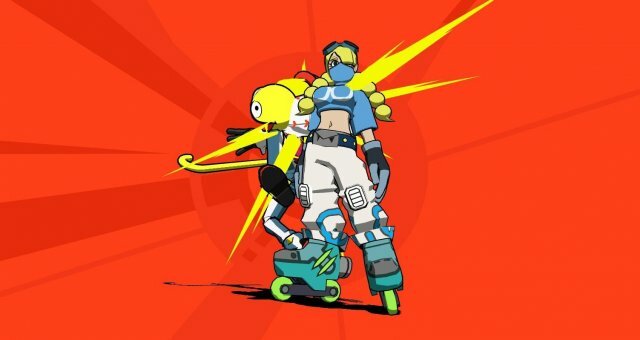 Lethal League Blaze has a ton of hidden techniques that are not explained to you. I only know a handful at the moment, but I thought I'd put them here for all to see. Be sure to purchase How to Play 2 in the Showcase. There are a few techniques in there you may not know which won't be explained here. When you are lying on the floor after a big hit, there are 3 ways to stand back up. The first way is to press a movement direction and you will do a quick getup. The second way is to simply wait and eventually you will stand back up automatically. The third way is to press swing. When you press swing, if the ball is not near you, you will get up and be forced to taunt, which can be dangerous. If you press swing and the ball is near you, you will tether the ball to the front of yourself and make it so no one else can hit it temporarily. You are free to move with the ball during this time. After you reach the apex of a jump, pressing down in midair will cause you to fall much faster. If you run, crouch, and slide into a wall on either side of the stage, you will warp to the other side. Candyman has the highest jump in the game. It goes almost all the way to the ceiling. If you hit the ball from your own special, it can continue traveling through walls. This can be done indefinitely. If you hold crouch and then jump, Dice will jump much higher, as high as Candyman. If you press bunt during Dice's special, after the ball hits the ground, it will act as if it was just bunted. If you have full meter, you can spend it by pressing jump while crouching to perform a shockwave. The shockwave has a large range and hits the ball horizontally. It also knocks enemies away a fair distance. Doombox does not have a second jump, but holding the jump button allows you to fly. The flight lasts about 3-4 seconds and you can move freely while flying. You can swing while flying, and hitting the ball extends the flight time. Bunting or throwing ends the flight. During Doombox's special, you can press bunt to bunt the ball immediately instead of waiting for it to fly towards the opponent as normal. When using Grid's special, he can teleport up to two times. Press the swing button and hold a direction to teleport. Teleporting sideways will hit the ball horizontally. Teleporting down hits the ball at a downward angle if you're still in the air. Teleporting upwards hits the ball at a shallower downward angle. After done teleporting with Grid's special, you can press bunt to bunt the ball out of his hands rather than hitting it normally. After you use Jet's special, if you hit the ball again while it is still in a bubble, you can use her special again to put the ball in another bubble. This can only be done once per special. If you hold jump, Jet will hover in midair for about 1 second. You can move left or right during this time, but taking any other action will end it. Jet is faster than all other characters when running on the ground. If you press the movement button towards a wall, Latch will cling to it. As long as you push towards the wall, Latch will stay on it. You can also move up and down on it, as well as swing. If you hit the ball while on the wall, you can angle it differently than you would be able to with Latch's other swings. Bunting or throwing will disconnect you from the wall. There are two ways to end Latch's special: 1. Let the time pass and the ball will shoot out as normal. 2. Press bunt, which will bunt the ball out of Latch's mouth. Be careful when using the bunt, as quick enemies can hit it before you. When you use Nitro's special, if you hold down the swing button, Nitro will pull himself to the ball instead of pulling the ball to himself. During Nitro's special, when he reaches the ball, you can press bunt and it will bunt the ball instead of hitting it. If you press movement against a wall in midair, Raptor will begin sliding down it slowly. You can jump from this slide to do a walljump. This will cause Raptor to regain his midair jump, so you can stay off the ground indefinitely. During Raptor's special, you can press bunt to bunt the ball instead of hitting it in a direction. If you hold swing during Raptor's special, he holds the ball for longer and increases its speed when its released. Sonata can jump twice in midair. 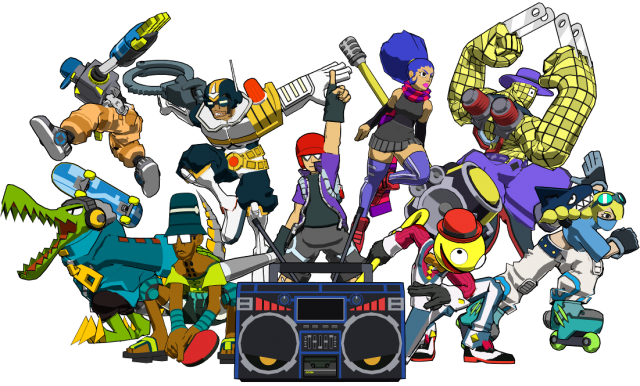 If you press taunt in mid-air with full meter, Switch will perform his special move from Lethal League, which is a fast, downward-angled shot. If you jump towards a wall and hold both the jump button and the direction towards the wall, Switch will ride his skateboard on the wall and ceiling as long as you hold the buttons (or until he hits the other side). You do not need to change the direction you are holding at any point.